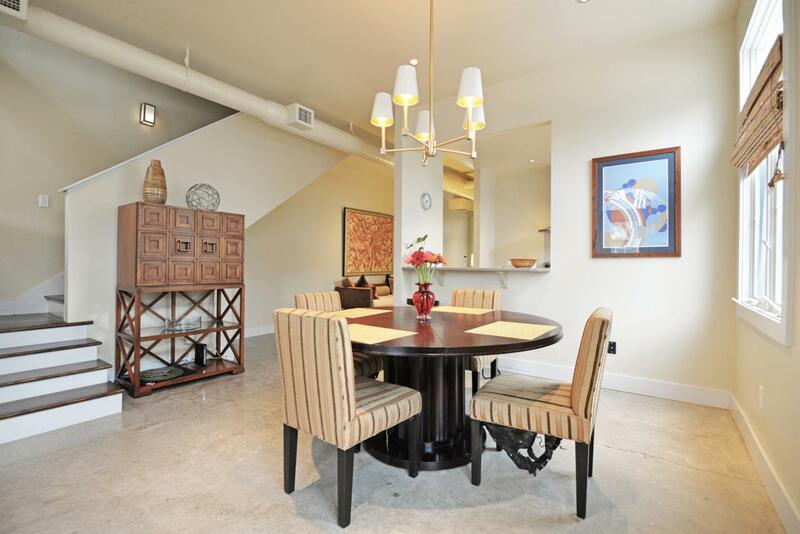 Fantastic loft style, 2 bedroom, 1.5 bath condo with a single car garage on a quaint tree-lined street in the heart of the Southside. 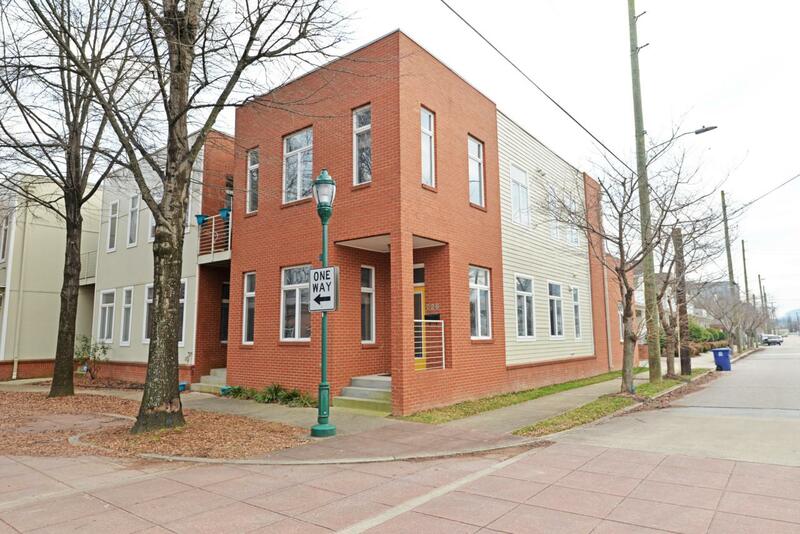 Whether you are looking for a primary residence, a weekend getaway or even a potential investment property, then look no further than this end unit Cowart Place condo that is conveniently located within walking or biking distance of schools, shops, restaurants, music venues and more! The unit has concrete floors throughout the main level which is open and boasts tall ceilings and exposed duct work giving it a loft feel. The living space is versatile, and the owner currently has the main level set up with living, dining and family room areas. The kitchen has a pass through/raised breakfast bar to the dining area, Kenmore stainless appliances and Coriancounter tops. A nice powder room has extra storage, and there is additional cabinetry/storage in the rear garage. The sleeping quarters are upstairs and adjoined by a large shared bath with an open tiled shower. 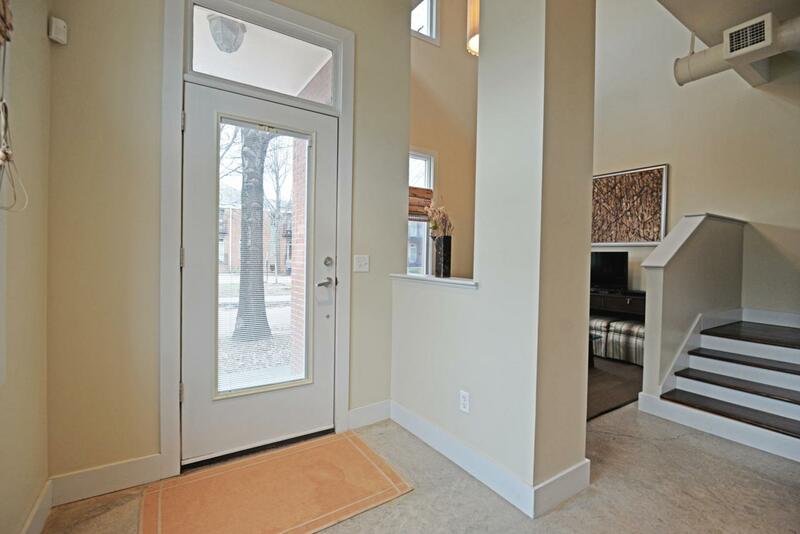 The "master" is open to the living room below and has an office nook or sitting area, as well. The guest bedroom has access to the brand new deck with views of Lookout Mountain. A convenient laundry closet is located in the hallway. 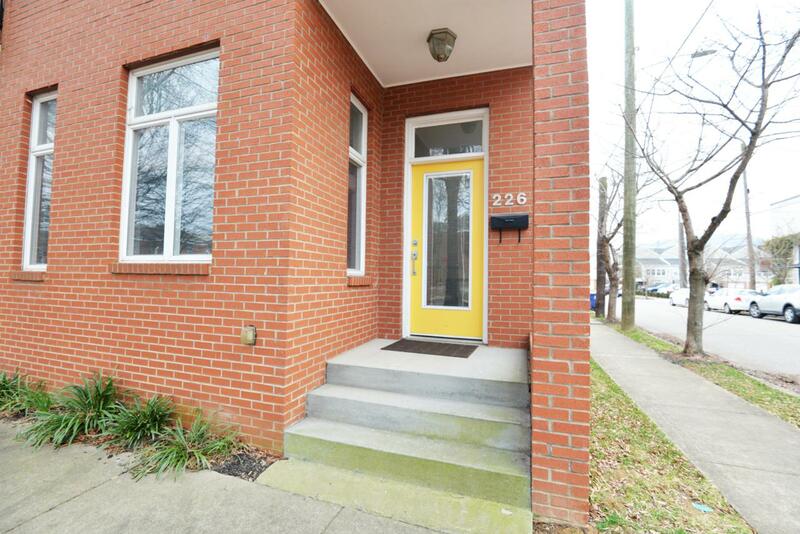 A great opportunity for someone seeking a super convenient location in a bustling environment. The seller is currently using as an Air BnB, so showings will have to be scheduled around guests. The best days will be mid-week, but please call to check availability. Information is deemed reliable but not guaranteed. Buyer to verify any and all information they deem important.